As the customer, you are responsible for maintaining safe access into and out of the yard (if we are unable to clean due to access, you will be charged for that cleanup), immediate notification of any changes in the number of pets and prompt payment of balances due. Inclement weather may make it hazardous or impossible to make a scheduled cleanup. In this event, we will be responsible for servicing your yard as soon as possible. If we are unable to make-up that particular cleanup, a charge of only 3/4 the regular fee will apply due to the additional waste and time required during the next cleanup. Balance due, not received within twenty (20) days will be charged a $7.50 monthly late fee. Balance due, not received within thirty (30) days will be sent to collections and charged a $20.00 collection fee. A $30.00 fee will be charged on any returned check. If for any reason your pet(s) will not be using the yard for a certain period (i.e. vacation, illness, etc.) and you do not wish to be charged for an unnecessary visit(s), please call in advance to suspend service. 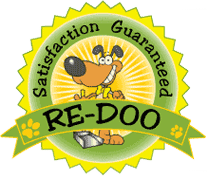 Pet Scoop Services assumes no liabilities for damages to yards, gates, pets or other properties. Fees and Promotions are subject to change at any time. In this rare circumstance, you will be notified at least two (2) weeks prior to any changes. Either party may terminate service (in writing) at any time. Unpaid balances are due within 15 days. By initiating service, both parties agree to the above terms and responsibilities.